The competition is open to Italian and foreign runners, who possess an updated medical certificate for agonistic sports, released by a sports doctor. The certificate must be valid by the date of the race. Runners must be at least 18 years old. Compulsory equipment: windbreaker. Participants must wear the chest-vest not to be modified, folded or cut for whatever reason, with the number always visible. The use of poles is optional, the use of windbreaker is compulsory. The competition must be completed in a maximum of 4 hours and 30 minutes. 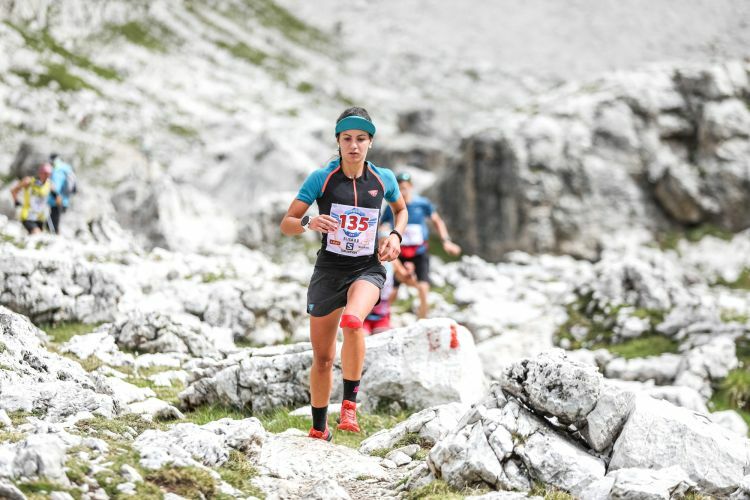 Runners reaching the Forcella Sass Pordoi after more than 2 hours will be excluded from the competition. No other time limits will be imposed to finish the race. Runner exceeding the settled times will be disqualified. It is compulsory to communicate the withdrawal from the competition, whatever the reason, at the closest control area. To guarantee the correctness of the competition the QUARTZ program will be applied to all the participants: www.goldentrailseries.com. The Organization cannot be held responsible for any theft, loss or damage that may occur to personal properties left unattended, before during and after the race, in the race office, in the start/finish area, by the swimming pool or in the pavilion. The race gadget can be withdrawn only by the athletes registered for the race by the days of the race. Athletes must provide for their own accommodation. For further information you can contact the Canazei Tourist Information Office at the phone number +39 0462 609600 or by mail at infocanazei@fassa.com.